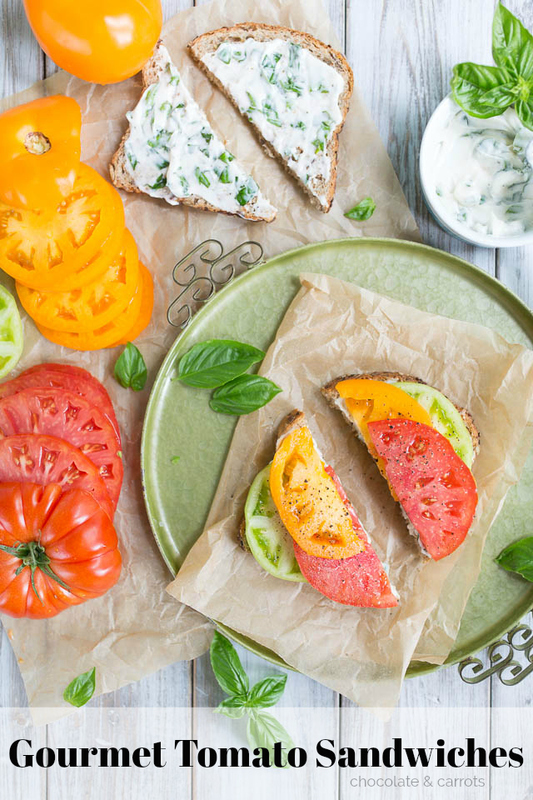 Using one of summer’s greatest gifts, these Gourmet Tomato Sandwiches will give you a pure taste of summer in your mouth! 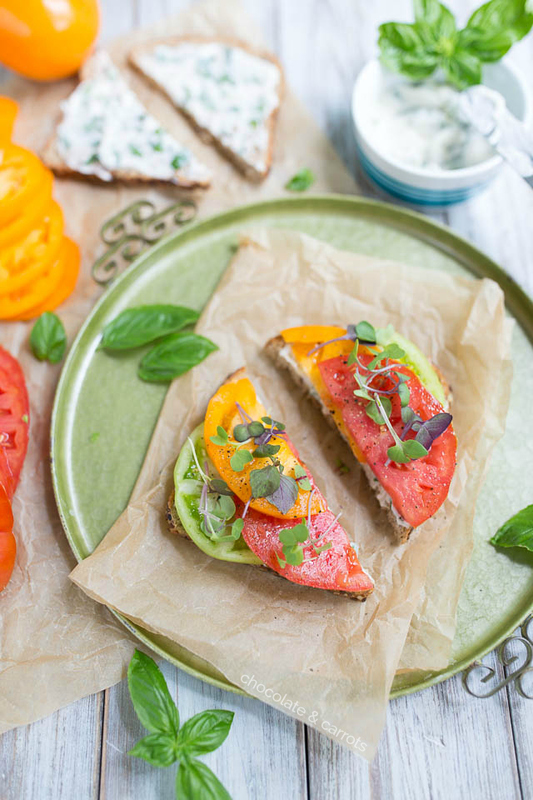 It’s my twist on the classic Southern tomato sandwich. 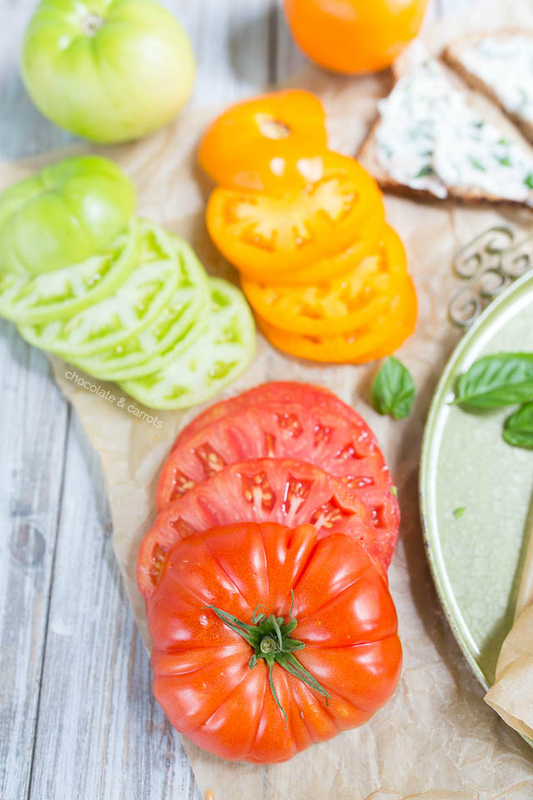 When I think of summer’s growing up, I think of the classic tomato sandwiches my mother would make. They were made with two slices of bread, a lather of mayonnaise on each side and slices of tomatoes in the middle that were covered with salt and pepper. Just thinking about it makes me smile. To take it up a notch, I found these rainbow sprouts at the Summerville Farmers Market last week when I was visiting my sister, Katie. They come from a small farm in the middle of Columbia, SC, called City Roots. We used to visit City Roots frequently and watched them grow from this pioneering city farm to what they are today, back when we lived in Columbia! Now, I find their produce at local farmers markets here and even our local grocery stores! 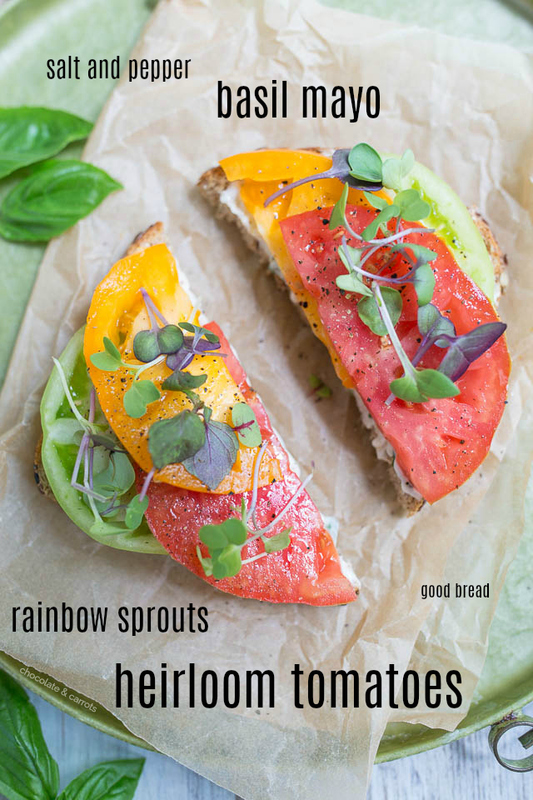 Any who, I sound these rainbow microgreens and there were such a delightful addition to the tomato sandwiches. 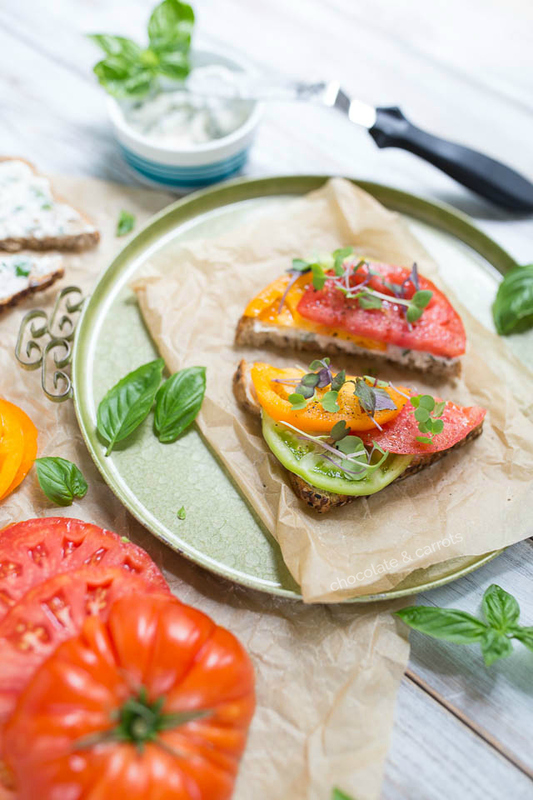 The microgreens help at a lovely crunch and texture to the sandwich. I love mixing the fresh basil in with the mayonnaise, too. This helps it stay put when you’re eating and evenly spreads the flavor! 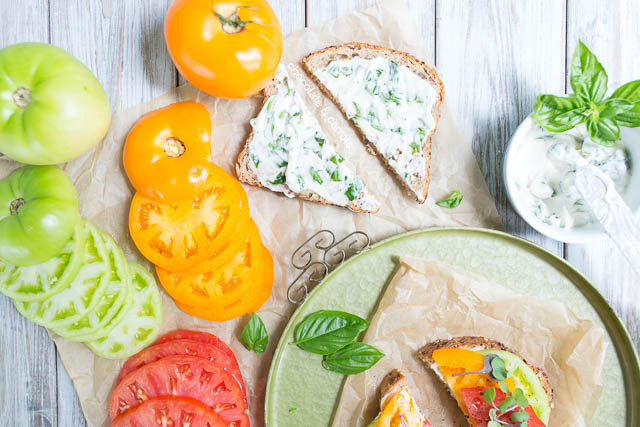 You can make the sandwiches vegan, too, if you use a vegan mayo. Do you have any recipes that are quintessential summer to you? In a small bowl, combine the mayonnaise, basil, salt and pepper. Spread over your slices of bread. Place thin slices of tomato on top. (Optional) Sprinkle with rainbow sprouts. Servings: There is enough mayonnaise to cover 2-4 sandwiches, depending on how thick you like your spread. I always search for your recipes. 🙂 Thanks!